Well that was sweet to see Gary Oldman win an Oscar. Oldman is by far one of the best actors out there because he puts his heart and soul into every role he ever gets, no matter the size of the film. It was also sweet to see Guillermo del Toro get some golden statues too. That will give him more sway with the studios when he wants to make something he likes! I hope that parlays into more Pacific Rim movies! LOL. I am a bit confused about Get Out's nominations. Yes, it was a good film, but it felt more like an "Excellent Syfy channel thriller" than an Oscar worthy film. Here's what I had to say about the film. 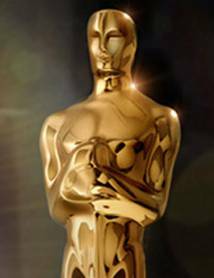 Check out the list of Oscar 2018 winners below!